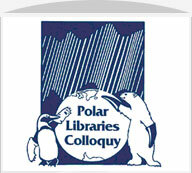 The name of the association is the Polar Libraries Colloquy. The Polar Libraries Colloquy (hereafter called the PLC) provides a forum through which librarians and others evidencing an abiding interest in the collection, preservation, and dissemination of polar information, discuss issues of mutual concern and promote initiatives leading to improved collections and services. co-operates with other national and international organizations whose aims are complementary to those of the PLC. Institutional – Institutional members shall not be entitled to vote or to hold office. Individual and institutional members must pay an annual membership fee, which will be established in the business meeting of the preceding colloquy. Honorary members shall pay no fees. Applications for membership must be directed to the PLC Steering Committee. The status of Honorary Member may only be conferred by a proposal from the floor and agreed to at the business meeting. Decisions regarding the aims, purposes and functioning of the PLC are approved in the business meeting held during the international conference (hereafter called the business meeting). The PLC’s activities are directed and planned by the PLC Steering Committee which is elected at the business meeting to serve until the next business meeting. These members shall, as far as possible, be chosen so as to be representative of the different regions and types of libraries comprising the PLC membership in general. An international conference is held every two years, or other agreed interval. The venue and host organization are decided upon according to procedures stipulated in the Bylaws. An institution or site wishing to host the next PLC conference should inform the PLC Steering Committee at least sixty days prior to the business meeting. The organization and financial arrangements of the international conference are the responsibility of the host organization, which shall also be responsible for the preparation, publication and distribution of the conference proceedings. Organizations hosting the international conference should budget to cover costs but not make a profit. Arrangements for the international conference should be made by the conference host in consultation with a conference organizing committee, the latter being selected at the preceding PLC business meeting. The role of the conference organizing committee is essentially consultative and supportive of the conference host, who retains primary responsibility for the making of conference arrangements. This Constitution will come into force at the close of the business meeting at which it is approved by a two-thirds majority of the members voting. Amendments to the Constitution may be proposed by any member. Such amendments must be submitted in writing to the PLC Steering Committee in time for dissemination prior to the business meeting. Adoption of an amendment requires an affirmative vote of at least two-thirds of the members present at the business meeting. Amendments to the Bylaws may be proposed by any member. Such amendments must be submitted in writing to the PLC Steering Committee in time for dissemination prior to the business meeting. For the purpose of the business meeting at which the adoption of this constitution will first be mooted (15th PLC, Cambridge), all delegates attending the business meeting will be considered as members with full voting rights. a commitment to publish the proceedings. Consideration shall be given to appropriate sites which have yet to host the PLC conference. There shall be a PLC Steering Committee, herein referred to as the “PLCSC”, that shall direct and plan the activities of the PLC and take such actions as it considers necessary to carry out the objectives of the PLC and perform such other functions as the membership may direct.The PLC Steering Committee shall consist of at least four and not more than seven members elected by the membership. Additional ex officio members shall consist, at least, of the bulletin editor(s) and the chair of the next colloquy. Nominations for, and election of, PLCSC members shall be made at the PLC business meeting.PLCSC members shall elect PLCSC officers from among their elected members as follows: the chair, the vice-chair/chair-elect, the secretary and the treasurer. All members of the PLCSC shall be members of the PLC. The PLCSC shall hold at least one meeting biennially in association with the PLC and may hold additional meetings. Fifty percent shall constitute a quorum. A vacancy among the officers of the PLCSC, except in the office of chair, shall be filled by majority vote of the remaining members of the PLCSC, this PLCSC-elected officer to serve until the next biennial election. A vacancy in the office of chair shall be filled by the vice-chair/chair-elect. The term of office of all PLCSC members shall be at least one cycle (usually two years) between meetings of the PLC. The chair shall normally serve one cycle. The vice-chair/chair-elect, the secretary and the treasurer shall serve two cycles without standing for re-election. With the exception of the offices of chair and vice-chair/chair-elect, any officer shall be eligible for re-election. The chair and vice-chair/chair-elect shall be eligible for election to any other PLCSC office. All members of the PLCSC shall serve until their successors are elected and assume their duties. The term of office shall commence at the adjournment of the PLC Business Meeting. represent the PLC and/or the PLCSC as needed. assume all the duties and obligations of the chair in the event of absence or withdrawal of the chair. at routine intervals, deposit copies of PLC-related documentation into the PLC Archives held at the Archives and Manuscripts Section, Alaska and Polar Regions Collections, University of Alaska, Fairbanks. furnish such financial statements as may be required by the PLC or the PLCSC.